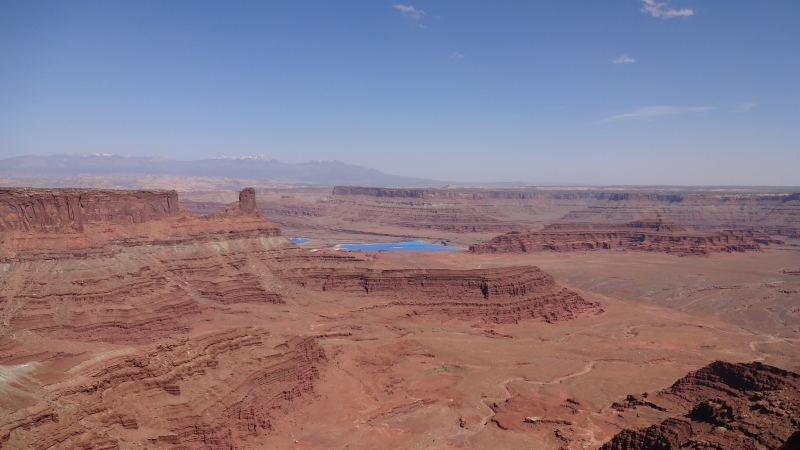 The photo above is a panoramic view of the Colorado River from Dead Horse Point. You can see the river top left and bottom right. Arches National, Park is well worth seeing. As Memorial Day approaches traffic in the park was fairly heavy. We saw all the arches we needed to see driving about ½ way north in the park. It was interesting to learn that these arches were caused by salt beds dissolving around the sandstone. Then wind and rain gradually caused the arches to form. 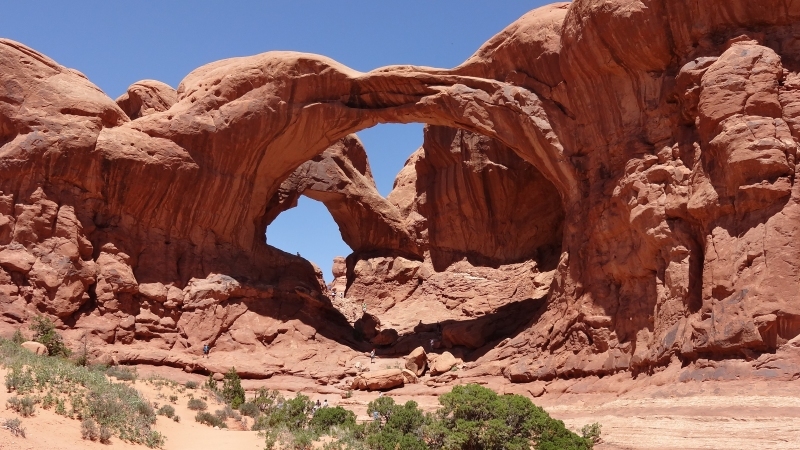 The arch beside Lake Powell was caused by rivers breaking through an already eroded sandstone river bank. In the afternoon we drove 31 miles to Dead Horse Point State Park. You get a dramatic view of the Colorado River as it winds around from 2,000 ft up. The view compares to Grand Canyon. There is a mysterious bright blue area with white lines across it that can be seen from the point. It appears to be about 1,000 ft higher than the Colorado River. If anyone knows what this is, please comment. For sure it’s not natural. 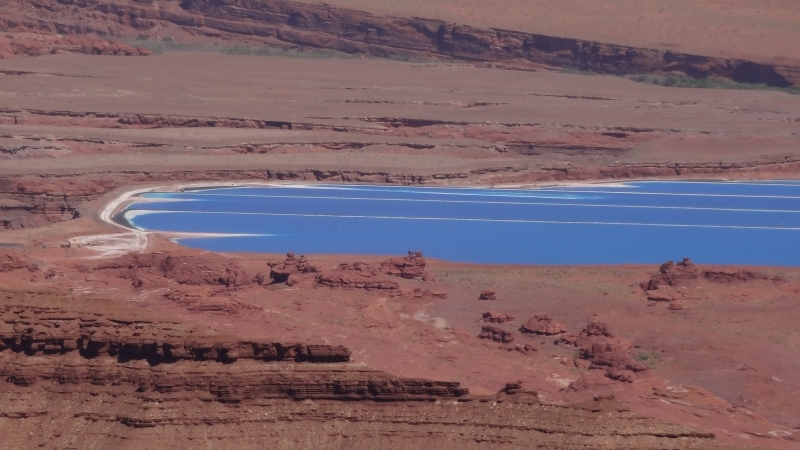 The mysterious blue lake is a pond of potash mining residue from Texas Gulf co.
We were there in september 2013.